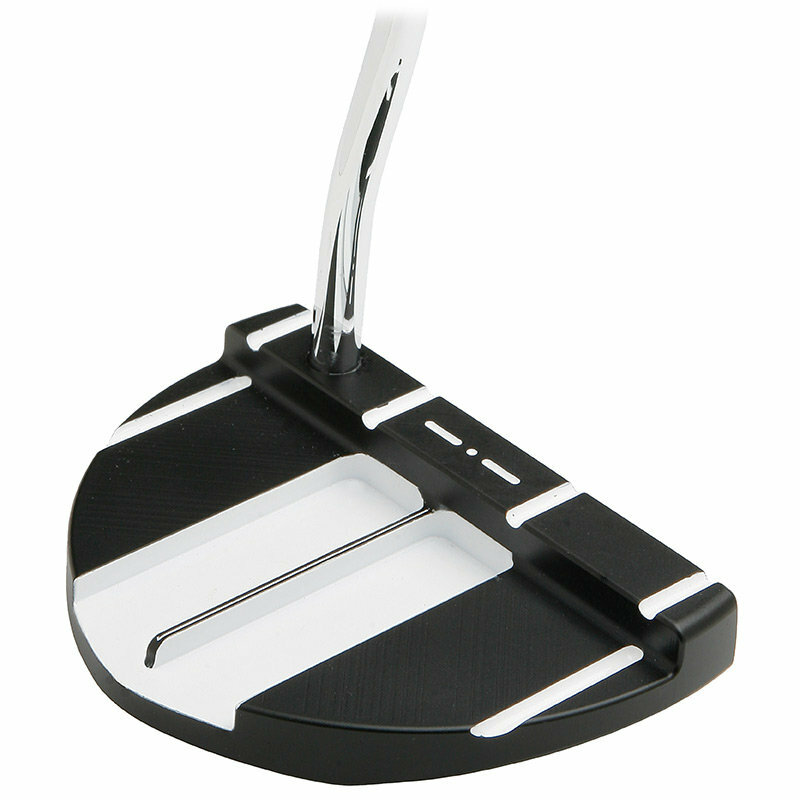 The Maltby RP425 Milled Putter Head features a unique alignment system that frames the exact ball width diameter (1.68″) inside the exact hole width diameter (4.25″) allowing the golfer to easily envision and focus on the full path of the intended line of the golf ball to the putting cup. Regardless of the skill of the golfer, focusing on the full path of the intended putt instead of a fine narrow line will increase putting accuracy, especially on shorter 6′ and under putts. The RP425 Milled Putter Head is manufactured from 100% aircraft grade aluminum providing an incredibly solid feel and sound at impact. Stainless steel weights have been positioned perfectly into the Tri-Level sole design to achieve a 380 gram head weight and increase the putters MOI (Moment of Inertia) for optimal forgiveness and distance control.